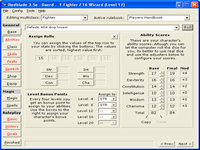 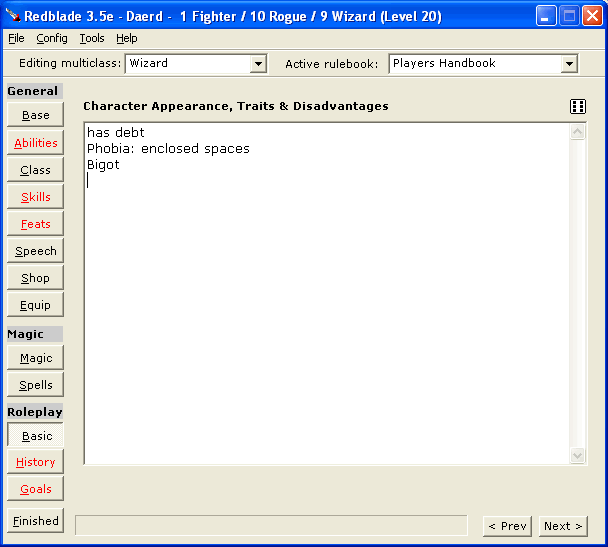 Redblade 3.5e is a free character generator, updated to D&D 3rd Edition revised (v3.5). 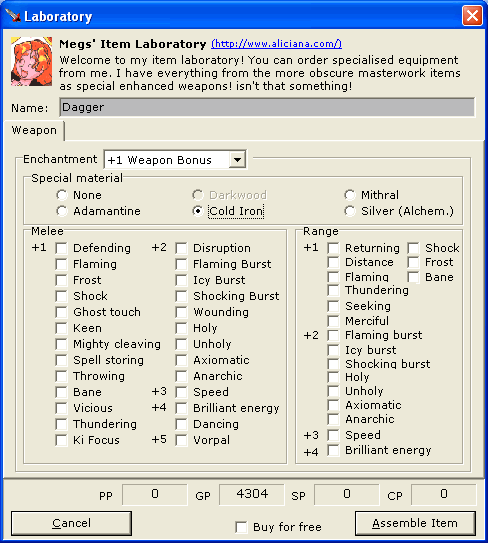 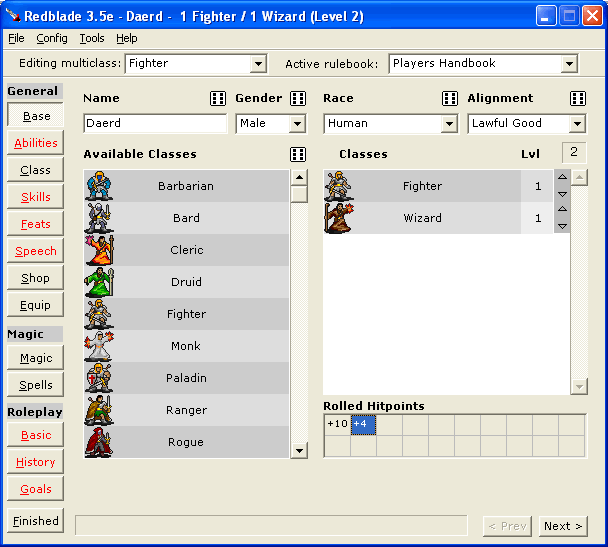 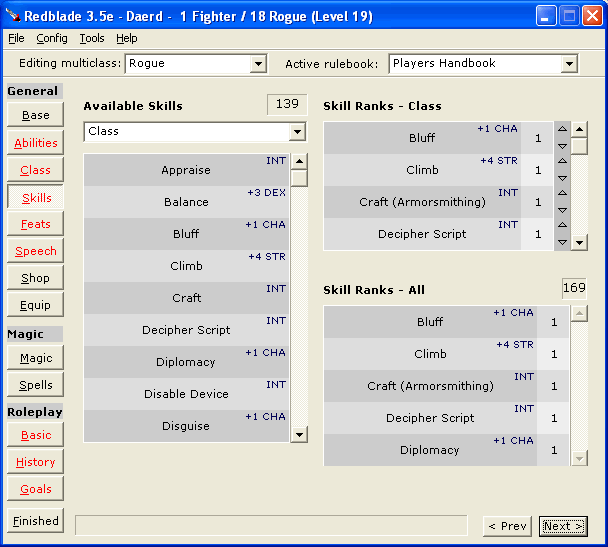 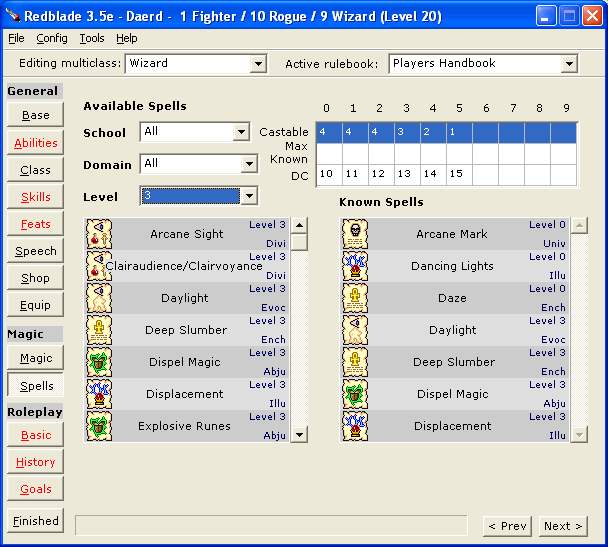 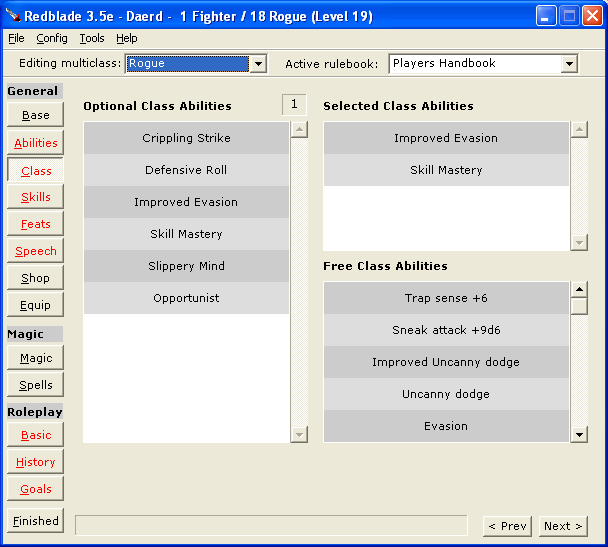 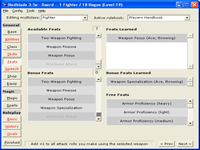 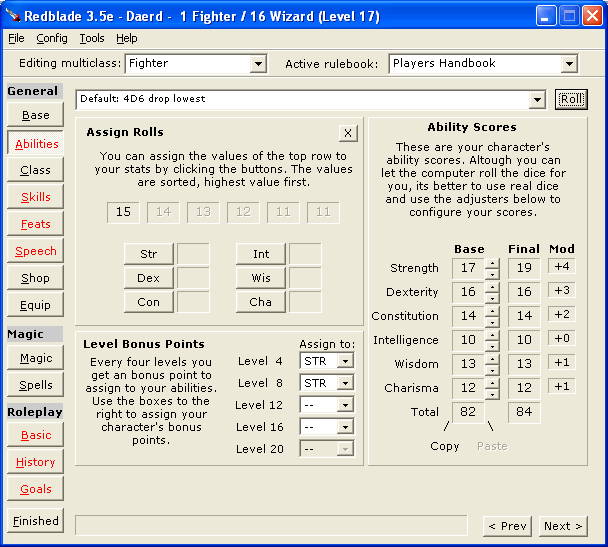 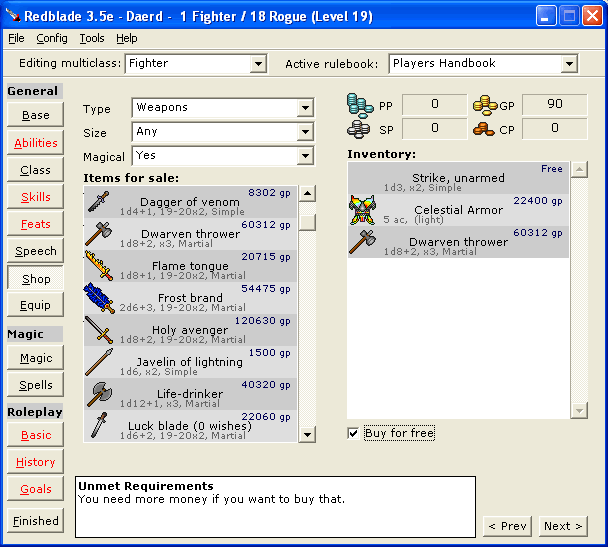 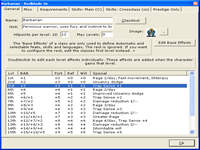 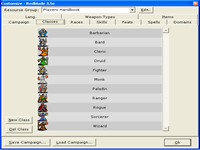 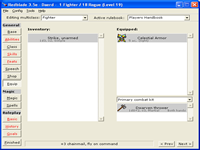 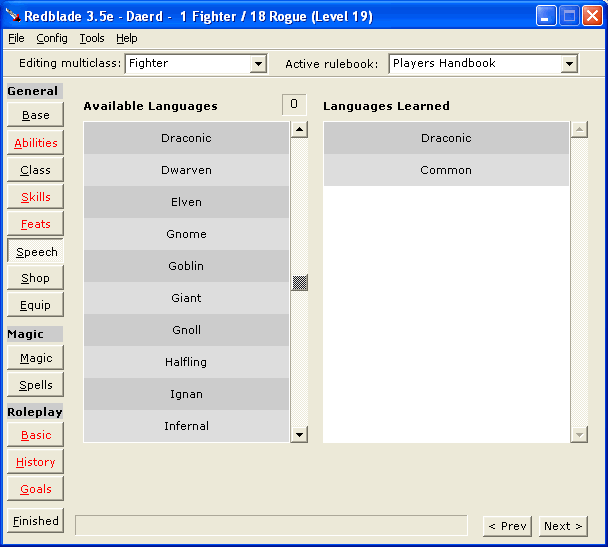 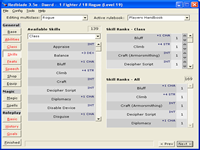 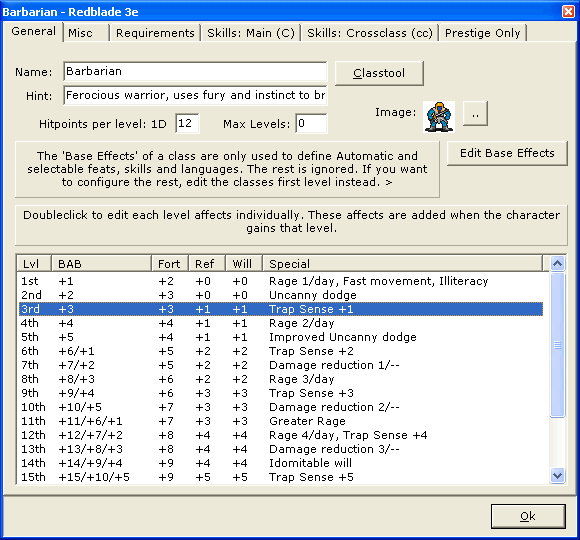 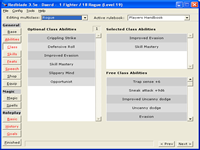 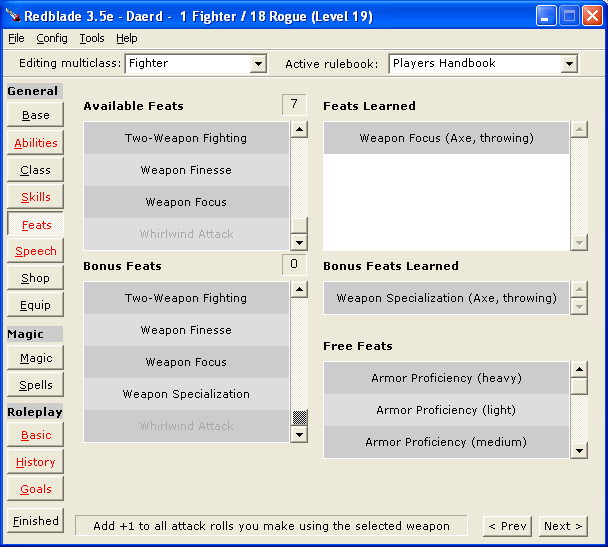 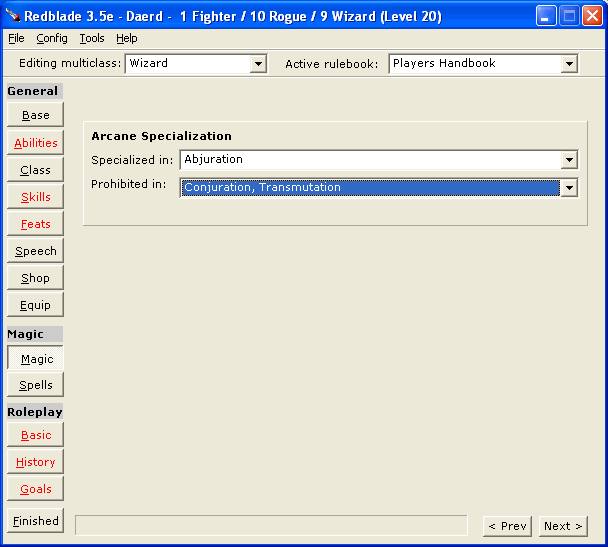 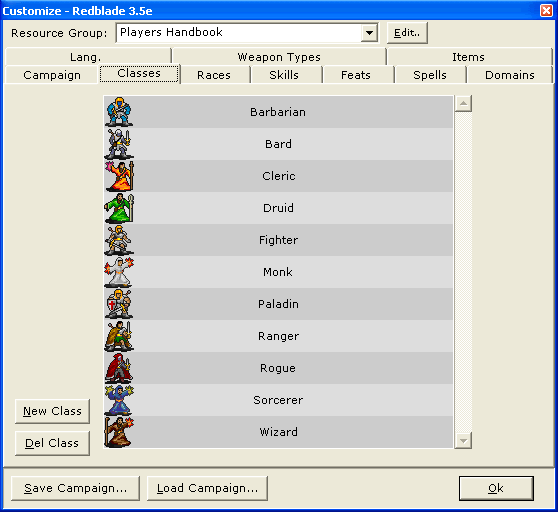 Reblade allows you to add your own classes, races, skills, feats, spells, domains, languages, and items. 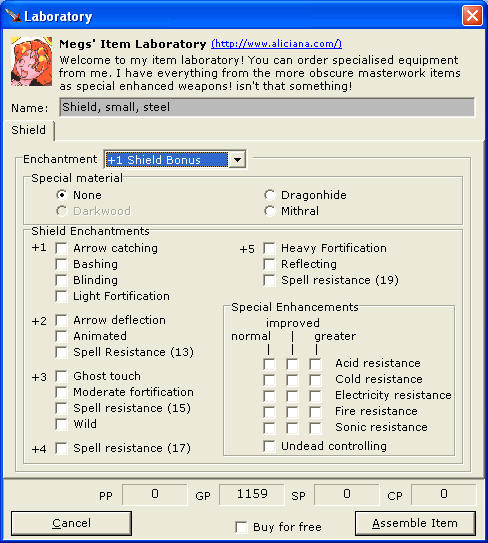 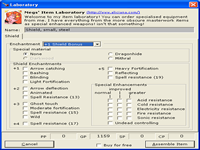 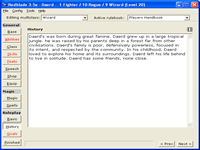 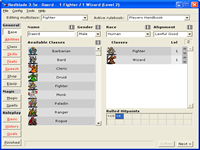 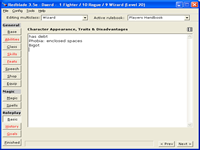 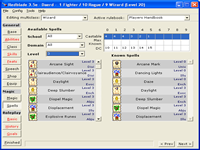 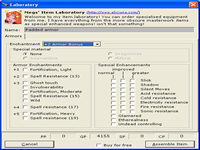 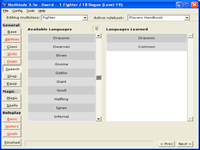 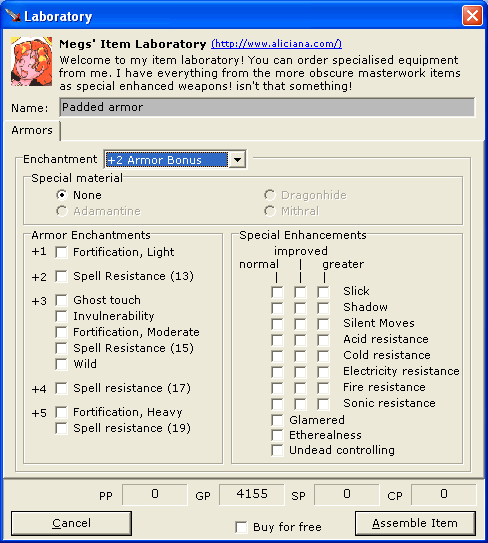 Characters can be exported to a HTML character sheet. 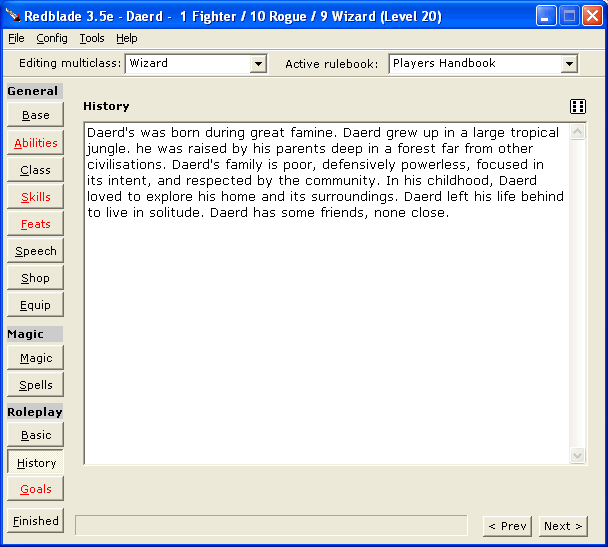 Click on the images to see a bigger version.